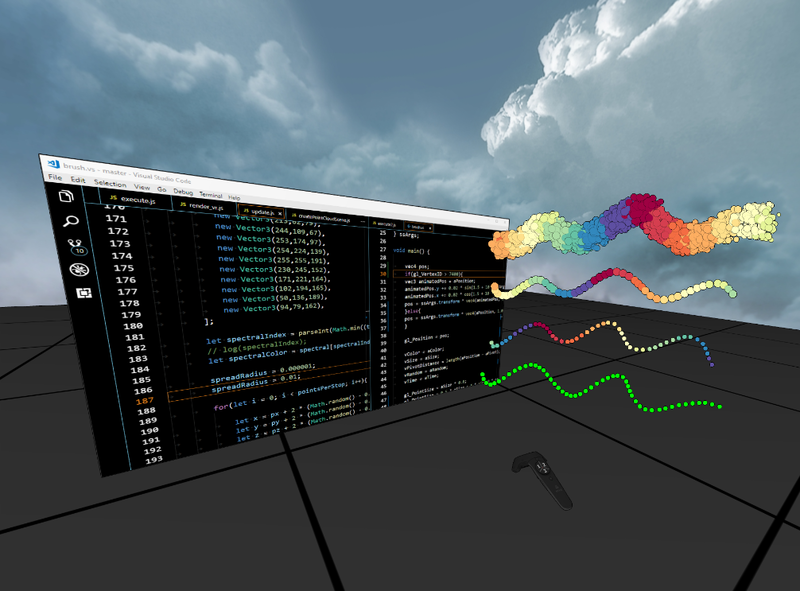 Live coding in virtual reality allows users to create and modify their surroundings through code without the need to leave the virtual reality environment. Previous work focuses on modifying the scene. We propose an application that allows developers to modify virtually everything at runtime, including the scene but also the render engine, shader code and input handling, using standard desktop IDEs through a desktop mirror. : Modifying brush generation and rendering code at runtime in VR. Last update on 14. Mar 19.